Augmented reality adds a new spin on the La Brea Tar Pits experience. 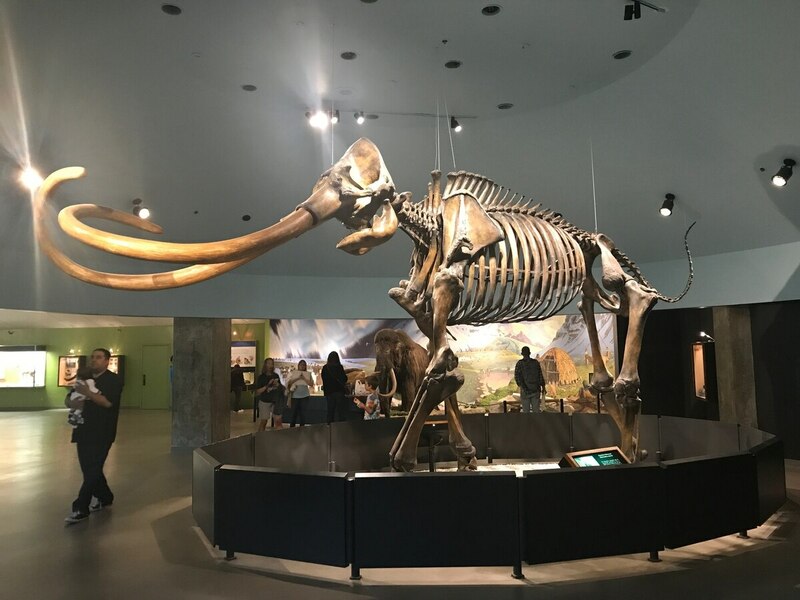 The La Brea Tar Pits, which is part of the Natural History Museum of Los Angeles County, has partnered with USC to incorporate augmented reality into their exhibits. The museum would use this new technology as a tool to help correct misconceptions that are common among visitors. When first arriving to the museum, visitors are greeted by a large muddy lake, that is seemingly filled with tar. In it, are life-sized replicas of three mammoths. One has its long trunk in the air and seems to be struggling to break free of the gooey tar. The other two, an adult and baby, look on attempting to help. Dr. Nye clarified that this lake people see outside the museum is actually a mining remnant. In truth, animals were more likely to get stuck in areas called tar seeps. These were spots where tar would come out of the ground and get covered with leaves, making them perfect traps for unsuspecting animals. USC is one of the leading universities in regard to virtual and augmented reality in media. Emily Lindsey, the Assistant Curator and Excavation Site Director for the La Brea Tar Pits, is excited for this opportunity to learn more about these new technologies. “The Institute for Creative Technologies is a phenomenally important entity for developing these types of technologies and it’s great for us and for me, the researcher, to be partnering with an academic institution on this type of thing,” Lindsey said. Augmented reality utilizes the user’s phone camera to display computerized images in the actual world. Popular examples of augmented reality are the new Snapchat filters or Pokémon Go. This is different from virtual reality, which uses a headset to build a world that is completely separate from reality. Even though virtual reality is more immersive, it is also more restricted. Augmented reality gives users more freedom. Corvyn Kusuma, a junior studying computer science (games) at the Viterbi School of Engineering, is the Vice President of the VRSC club at USC. “The main part of AR that makes it very compelling is that you can visualize stuff in a 3D space,” Kusuma said. He explains how using 2D models on a mobile device can be bland. However, with AR the user could actually touch something and examine it with their own hands. Kusuma believes this is what makes augmented reality useful in so many areas outside of engineering, such as journalism and medicine. The augmented reality exhibits are still in their early stages of development. Both Lindsey and Nye said they are hopefully for testing to begin between the next few months to a year. It would be a gradual rollout process. “The end goal is to have a series of experiences that are permanent installations here at the museum.” Lindsey said.